Patients can use Breeze to schedule appointments with physicians. Ken Comée wants to make accessing health care services as easy as hailing an Uber. 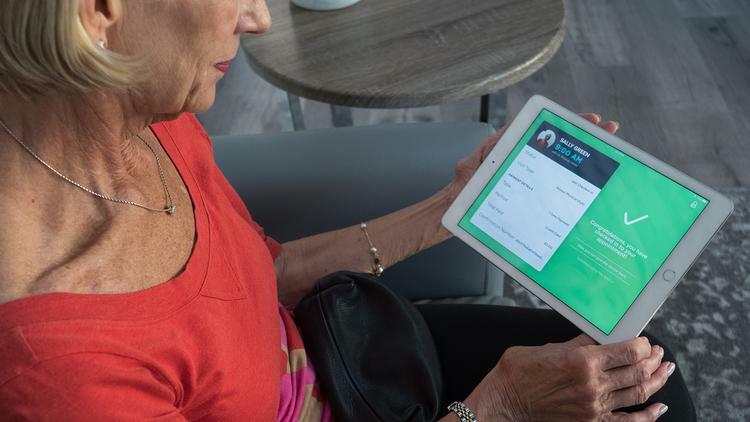 The CareCloud CEO’s latest stride toward that goal is Breeze, a platform that allows users to schedule and pay for health care appointments on the go. The Business Journal caught up with Comée to learn more about Breeze, which CareCloud created in partnership with First Data Corp. (NYSE: FDC). Why is the health care industry still playing catch-up with technology? We see four primary issues. The first is that medicine, in general, is conservative about adopting new technology. Health IT is also very complicated, so any changes you make to an existing platform … requires a lot of work. Another issue: The financial incentives haven’t been strong enough. And lastly, practices didn’t have to compete as much for patients as they do today. What other platforms will Breeze compete with? Breeze does multiple things to manage the patient-provider experience. Therefore, it competes against various software systems. But Breeze brings every patient-provider interaction into just one system. What sort of security infrastructure is in place to protect patient data? Breeze runs on CareCloud’s HIPAA-compliant, private-enterprise-grade platform in the cloud, and it’s architected in a way where no data is ever stored on a device. If someone walks away with a tablet, no data can be accessed. From a payment standpoint, credit cards are tokenized and never stored locally. This means that nobody, including practice staff, has access to a patient’s financial details. What was the most challenging aspect of expanding CareCloud’s services to a more consumer-centric product? As a health IT company, we are experts in software, so we had to learn about the hardware side. Fortunately, we have an exclusive partnership with a hardware company, Clover, which is part of First Data. This relationship allowed us to develop Breeze to a degree that would not otherwise have been possible.